We focus on training every electrician who is a member of our team to provide high-quality work that ensures customer satisfaction in Matthews, NC. Electrician in Matthews – An electrician is responsible for a number of different duties, much of which involve maintenance and installation of electrical wires and components. Some electricians focus on specific areas of the industry, while others have general knowledge and can provide service for commercial and residential customers. At Lamm Electric, we focus on training every electrician who is a member of our team to provide high-quality work that ensures customer satisfaction. Our electrical service area includes both residential and commercial properties in and near Matthews, North Carolina, and we have been in business since 1993. As a family-owned and operated company, our goal is to provide expert electrical services with a strong focus on satisfaction. We take the time to develop relationships with our clients, devoting time and energy into making sure that each one is satisfied with the quality of work and service experience. 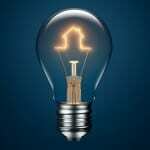 If you are looking for an electrician in the area, please don’t hesitate to call us. We are available during normal business hours on weekdays, and on Saturdays from 8 a.m. until 12 p.m. for appointments. Emergency services are also available. Whether you need new construction wiring for your business, a repair of an access control system, or rewiring on faulty or old wires in your home, we are the team to call. 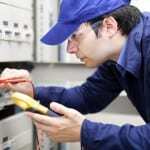 We can handle jobs of any size and have licensed electricians for every project. We are also members in good standing with the local chapter of the Better Business Bureau and Angie’s List. At Lamm Electric, our electricians proudly serve Charlotte, Belmont , Huntersville, Indian Trail, Matthews, Huntersville, Mint Hill, Harrisburg, and Mt. Holly, North Carolina.